I hate to use a personal story to make a professional point — but when I was in the hospital recently, after suffering from a mini-stroke, I got an important piece of health advice that, oddly enough, applies perfectly to Yahoo, the Silicon Valley Internet icon I cover very closely. When I was close to going home, one of my doctors told me I had to make sure I paid attention to any signs that might indicate a recurrence. The issue around any possible future ischemic attack taking place, he said, is speed in getting critical care once any unusual symptoms become apparent, such as numbness, tingling, confusion and cognitive difficulty. 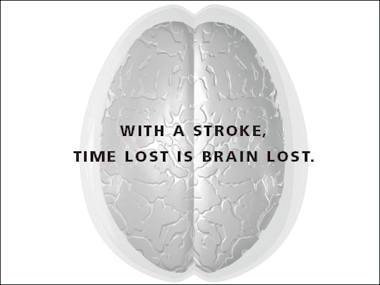 That’s because every second of delay translates to increased damage to cerebral cells that could badly impact speech, movement and worse. Yes, indeed it is — for me, and also very much so for Yahoo these days. Leaving aside my own mortality, one of the most important issues going forward for Yahoo’s long-hoped-for revival will be how quickly the company moves in the next month, in what has so far been a lugubrious and rumor-heavy process to figure out its strategic plan in the wake of the firing of CEO Carol Bartz in early September. That means — going into a major holiday season — Yahoo has about 30 working days to make what has to be a complex and multiparty deal. It is likely to include private equity firms, big companies, Asian partners, investment bankers, major shareholders and scrutiny from the media, in an effort that is approximately akin to herding cats. This from a board that has often moved with snail-like reflexes in the midst of much more minors crises, and has shown a talent for disaster. So, while speed is sometimes the enemy of reason, in this case, it is now more necessary than ever before. There are three key reasons why Yahoo’s leaders have to perform quickly now, each of which could spell even more turmoil for the long-troubled company, if botched. The first is the possibility — actually, the probability — of a proxy fight that might begin informally just after the new year. That’s when you could start hearing from someone like activist shareholder Daniel Loeb of Third Point — who has been vocal about ousting Yahoo board members, including co-founder Jerry Yang. Yahoo directors are fully aware that he is eyeing this ugly option, which will include readying an alternate slate of directors. But while there is a formal process, you will hear it coming long before that, unless Yahoo gives Loeb board seats to quiet him down — which is unlikely but possible. Such a noisy fight is not one Yahoo can afford to have, and it has already shown some cloddish sensibilities in its response to a recent letter by Loeb — who has many more shares than Yang, and should still be accorded a certain amount of respect, no matter what he says. Given how badly the last Yahoo shareholder tussle with Carl Icahn went, another proxy battle could be deadly, and might drag on through the first half of 2012. In his Yahoo tussle, Icahn ultimately got three seats on the Yahoo board, but eventually went away with everyone the poorer. Second, Yahoo will report its fourth-quarter earnings in late January, which will likely continue to show weakness in key sectors of its business. While interim CEO Tim Morse is doing a laudable job given the shaky circumstances, drops in advertising revenue growth, engagement and search are not anything Yahoo can keep making excuses for. While it is likely the company’s beleaguered operating execs will pull out the stops to make the numbers look better — a new game I like to play is “how many homepage ads can they jam in there at the quarter’s end?” — it’s no panacea for the kinds of dramatic and even drastic changes that new ownership will have to make, sooner than later. And, speaking of beleaguered, perhaps the most important reason that Yahoo has to get the lead out and clarify its situation is due to one consistent thing about the company: Talent attrition and employee fatigue. Speaking to one exec after another in recent weeks, it is dead clear that Yahoo is increasingly hard-pressed to hold on to the best of its current employees, or to attract any terrific new ones. The impact on product innovation, morale and more is obvious. One exec who has long been one of the more cheerleader types for Yahoo — often calling me out in the past for being too negative on the company’s prospects — has recently turned weary, cynical and even depressed about the future — so much so that I now find myself bucking up the worker. Indeed. And, more than any other factor that could hurt Yahoo in the competitive tech sector, brain drain is what will always get you in the end.